In addition to these, both fine and casual dine multi-cuisine restaurants organize Bengali food festivals during the two festive seasons of Bengali New Year (Read Here: Bengali food festivals during Nabobarsha) and Durga Puja. Qube Café at Hotel Siesta Hitech, Kondapur organized a very successful Bengali festival last year. 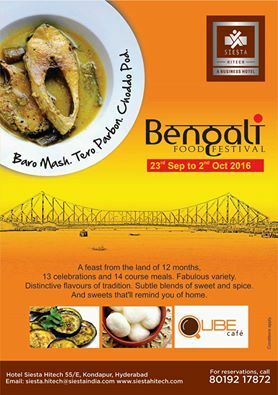 And this year, they are back with a bang with the food festival which many Bengalis were looking forward to for its unlimited Hilsa spread. The promotion is laid out only for dinner. The hotel has brought in a team of chefs from Dum Dum Kolkata, who are experts in catering food for weddings and other functions. So the food served in of an interesting genre, more of feast food rather than home food. 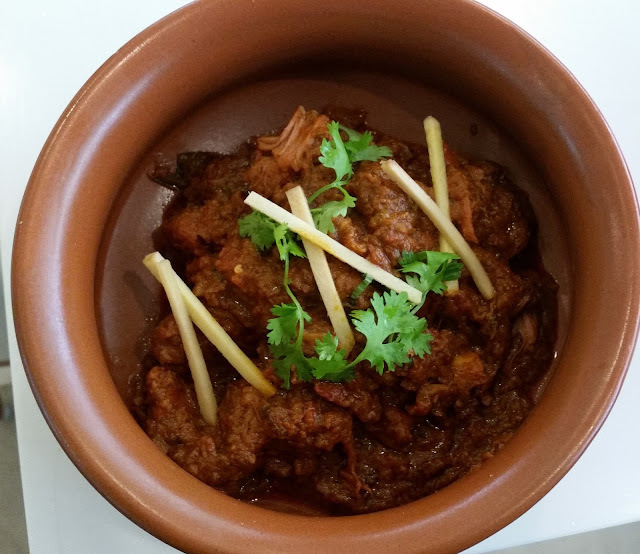 The menu is vast with more than half a dozen non-vegetarian dishes, along with a large number of desserts. At a preview of the festival, I tried out some items from the day’s menu. We started with some Bengali Vegetable Chop with potato and beetroot. 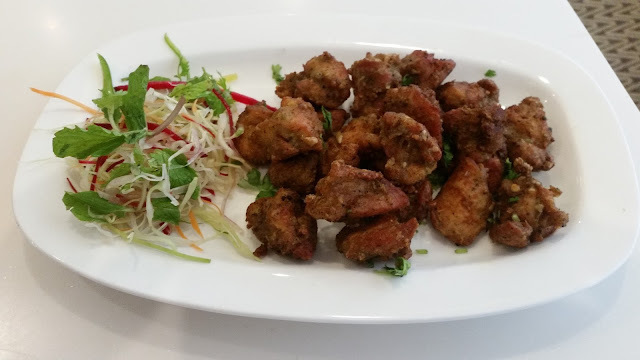 There was also some crispy fried Murgi Bhaja which had the typical marinade of ginger and garlic. The Kolkata Style Egg Roll was exactly like what we get in South Kolkata kiosks, replete with a stuffing of onions, green chillies, and tomato chilli sauce. Next were the dishes to go with Radhaballavi and Luchi, which I tried with Paneer ar Fulkopir Curry. This was a delicate cauliflower and peas preparation with paneer, though I cannot vouch for its authenticity as I had never had this combo before. Muri Ghonto prepared with vegetables and fish head and Alu Potol Bhaja (diced potato and pointed gourd) were the other vegetarian dishes on offer. However, for me, luchi works best with meat, and the Khashir Kosha Mangsho or the typical spicy variant of Bengali-style mutton masala was on hand for that. As I mentioned earlier, one of the main attractions of the festival was unlimited Hilsa which is served as part of the buffet. 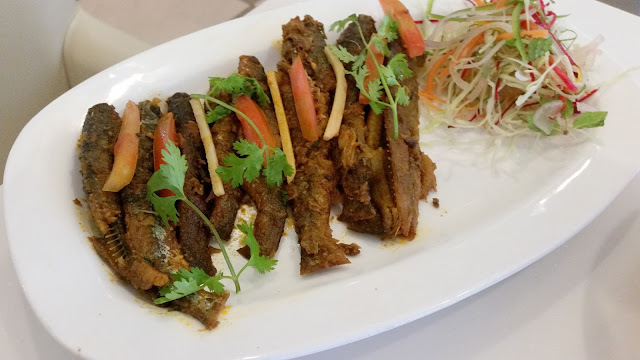 These days Hilsa fish is prohibitively expensive, so it is a brave arrangement by the restaurant. The Hilsa pieces in Sorshe Bata Ilish were of medium size (the whole fish in my estimate would be around 750 grams), but the taste was good. The mustard based curry was also delicious, albeit a bit rich. 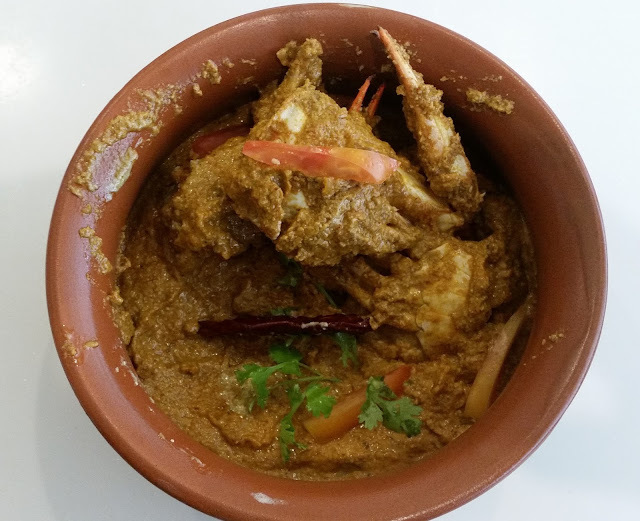 The Kakda Jhal (crab masala Bengali style) again was a thick gravy, though the crabs used were the Hyderabad variant, which in my opinion lacks the taste we get in the East. It is difficult to get the red or dark crabs here, which are usually consumed Bengal or Odisha. The Tangra Macher Chorchori was an ideal foil for the steamed rice. 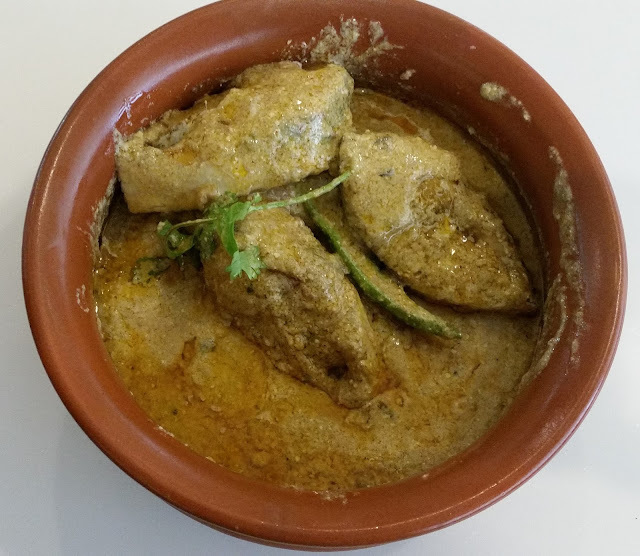 The gravy of Rui Macher Kalia was tasty, though I would use bigger sizes of Rohu fish for this preparation. 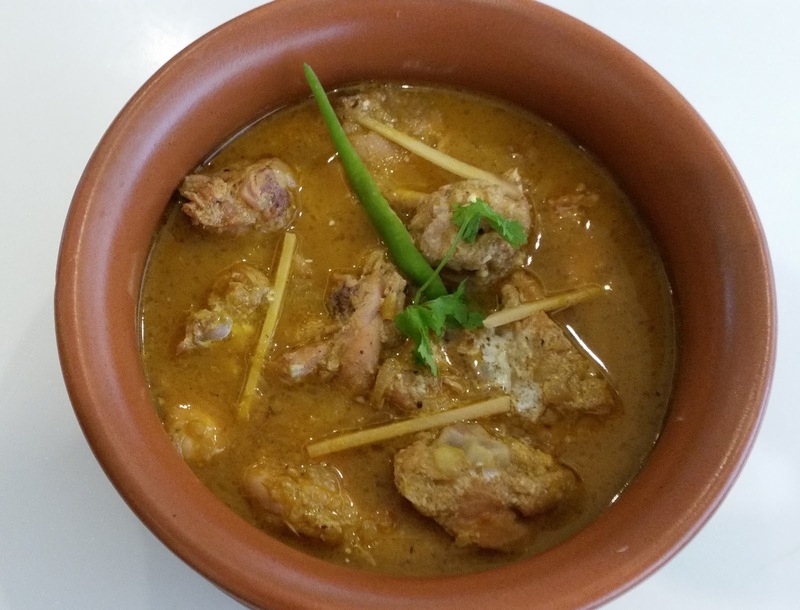 Doi Murgi was a curd based light curry which surprised me with its flavours. Finally, the desserts had about seven dishes, but I did not try most of them. 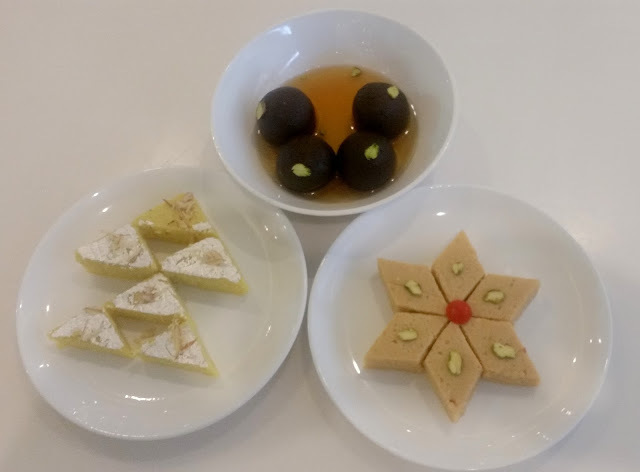 The Gurer Sandesh, with its mild date jaggery flavour, as well as the Mango Sandesh were delightful. I liked the Bengali Kalo Jam. Mishti Doi Bengali style was another sweet worth a mention. Quite a huge spread for a value-for-money price makes this festival extremely attractive. Go for the offers on Bookmyshow or Nearbuy at Rs 599 (all inclusive). The promotion is only for dinner till 2nd October.